The Crazy Eight Earrings are very beautiful to wear and fun to make. You can use whatever color of crystal that you desire. 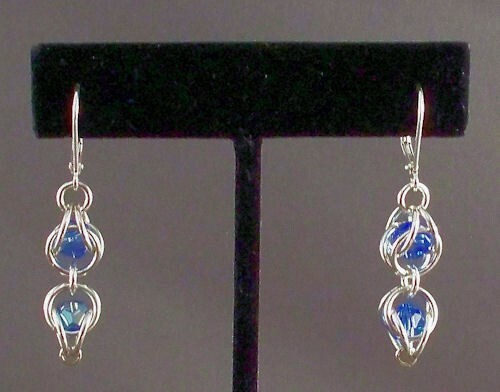 The crystals float freely within the earring since they are contained by a "cage" of rings. This is a beginner weave. 6mm round crystals are not included. Sterling silver plated or gold plated leverback earring findings are included in the kit.